I like to think it is a pretty big difference between these two photos – the left is my 29th Birthday and the right was taken in August this year – but it is important for me to point out that there is almost 6 years between these photos, so whilst the changes are obvious, they were not achieved overnight. 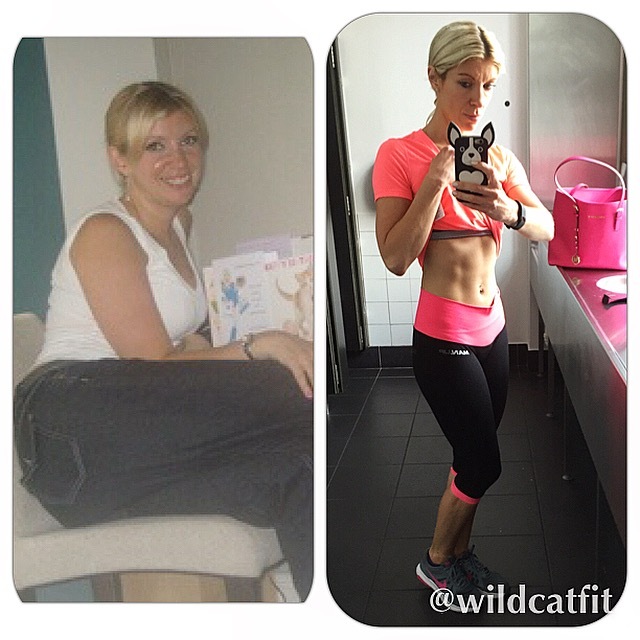 Instant access to thousands of photos like these via Instagram, Twitter and other social media sites can lead us to believe that lasting body transformations are possible in a matter of weeks, leading to disappointment when the scales don’t budge. Fitness is very much a journey, one that will hopefully last a lifetime, but it does require commitment and most of all patience. Fitness and weight loss are also one of the most personal journeys that you will ever go on, which is something I often need to remind myself of when I find myself scrolling through my Insta feed and constantly comparing myself to others. It is hard not to when we can be seemingly surrounded by both wannabe and actual fitness models on our various news feeds, but don’t forget a photo can only tell you so much. I remember the photo on the left being taken, I had had a huge Birthday party the night before, drunk too many cocktails and ate a McDonalds on the night bus home. I felt vile when I woke up the next morning and ended up binging on croissants for breakfast. I felt trapped in a cycle of not seeing progress from my pointless, endless cardio sessions at the gym that I would end up binging on alcohol or junk food or both at weekends and then start the whole process again every Monday, hating myself a bit more every time it happened. It was up to me to make a change, and little by little I did – seeking expert advice, trying new things but most of all being committed to the cause – wanting to be a better me. Six years down the line those changes have not only lasted, but have become part of my every day life now, and my weight and fitness levels remain consistent. I still may not be the leanest, I am definitely not the most shredded I could be, I worry about wrinkles and grey hairs as I hit my mid 30s (and yes I am jealous of the new breed of Instafitsters in their early 20s with glowing skin and bouncy hair and not a scrap of cellulite! ), I don’t have 50k followers, I am not a successful fitness model…. but you know what? I am me. I am fitter, slimmer, stronger, happier and braver than I was 6 years ago. I have a job I love that enables me to help and motivate people every single day, and a husband who loves me very much. I couldn’t ask for more than that. So next time you want to compare your fitness journey with someone you’ve never even met on social media? Don’t. Be true and always be you. Just be the best version of yourself you can be. Comparison is for meerkats! A smile to you from me. 🙂 http://smilebac.com is my blog. My mission is to make you smile. Very nice post. Great work!! Well said and very inspiring as always LJ ?